How Does Your Donor Retention Stack Up? Have you taken a close look at your donor retention from last year? Specifically, you want to discover what percentage of your donors from 2013 gave a gift in 2014. Measuring your retention rates each year is hugely important because it’s a critical indicator of weather your fundraising is improving… or not. Segmenting your donors is the process of placing your donors in logical groups, tagging individuals in your database as a member of that group, and communicating with those segments in ways that speak to their connection with you and your mission. I’ve written before about the importance of donor segmentation, and why it is well worth the effort. It is a critical step toward establishing a moves management program. But while segmentation is simple in concept, it is a daunting task. It’s a task that requires a high level of activation energy as well as commitment to maintain. I’m excited to share today Part 1 of our new 4 part video series: Developing a Strong, Systematic Annual Fundraising Program. I’m particularly excited about this series because it really gets to the heart of what annual fundraising means. In part 1, I talk about what annual fundraising actually is – as well as what it is not. I also share what I’ve found to be one of the major problems with the way we typically approach fundraising today. If you’d like to view the rest of the video series, sign-up here now. If you’ve found this helpful, I hope you’ll share it with your networks. Did you notice that this Webster’s Dictionary definition of “campaign” is a series of activities? Did you see that a campaign needs a specific goal? This also applies to your year-end campaign. Specifically, a year-end campaign is a series of donor communications occurring within a specific timeframe, with a well-defined goal. 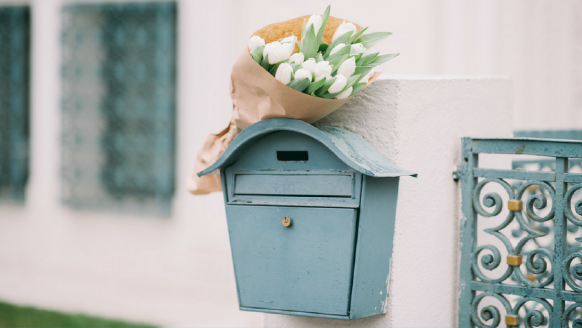 Even if your year-end efforts have in the past been limited to just one fundraising letter and a thank you note, it isn’t all that difficult to turn your fall fundraising letter into a full-fledged year-end renewal campaign. If you’ve been running a more sophisticated campaign, it might be time to add a new channel or produce a campaign wrap-up video. Regardless of your campaign’s current status, taking it to the next level will take some advanced planning to ensure that you have enough time, money, and technology to execute it well. Recently, I’ve come across some inspired ideas for fresh donor communications and fundraising beyond the run-of-the mill, same-old-same-old you always read about. In my hometown, there is a popular locally owned gift shop. Instead of charging a fee to gift wrap purchases, the store asks their customers to donate a dollar or two to a specific charity. For many years, one specific charity was the sole recipient of these funds (along with a tremendous amount of publicity). In a small nonprofit, with heaps of fundraising tasks on your plate, planning for fundraising appeals typically gets the short shrift. There’s plenty to keep you scrambling: finding a compelling story, crafting a donor-centered letter, and rushing to get your package in the mail at just the right time. But there are hidden costs and wasted funds when appeals become an afterthought. You’ll lose out in ways you may not even recognize. Should you ask volunteers to give money on top of their gifts of time? In Part 3 of our series on targeting key donor segments we discuss if and how to approach key volunteers for financial support. Many nonprofits are reluctant to ask for money from their program volunteers for this very reason. Organizations don’t want to appear greedy or offend their volunteer corps. We’ve all got them. Supporters who, for one reason or another, have slipped away. Our lapsed donors, because they’ve already demonstrated they care about our mission, are clearly worthy of some significant effort and attention. Yet many nonprofits do nothing more than mail the same letters and newsletters that everyone else gets, cross their fingers, and hope for the best. If you attempt only one new thing for your annual fundraising this year, developing thoughtful, intentional ways to get your lapsed donors back will provide a great return on investment.